Weather – Cool with temperatures in the mid 50’s to upper 60’s with strong winds & rain for out 2 hours. 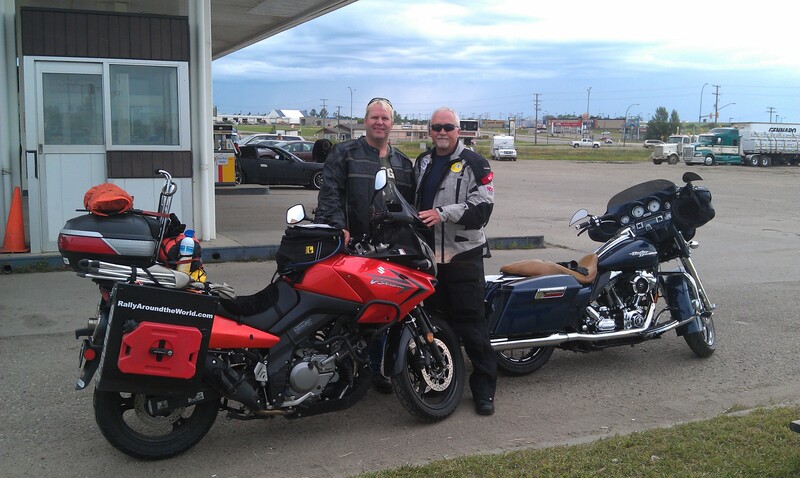 Rode out of Saskatoon with Kevin Schaan having breakfast at Husky’s Truck Stop – for an “egg” and riding together to The Battlefords about an hours ride from Saskatoon. 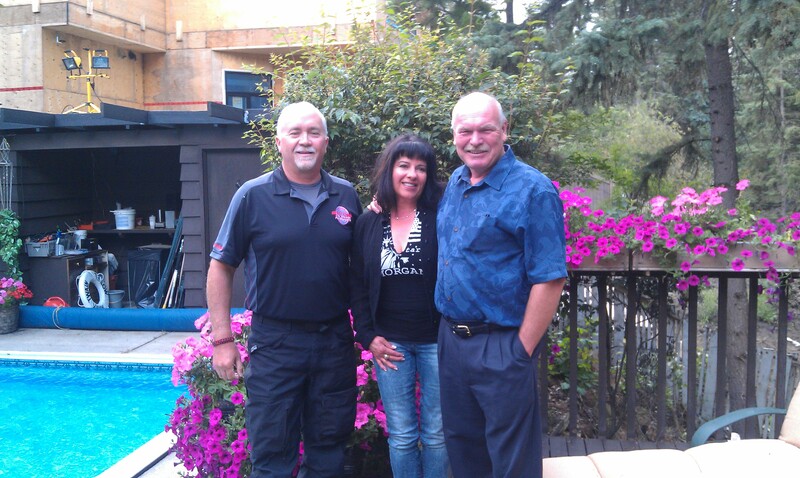 Said our goodbyes and Kevin headed east wihile I turned west for Edmonton. Today marked a defining moment when I ran into heavy rain, winds and cold temperatures for about 2 hours. I was dressed in my riding suit having only a short-sleeve shirt on underneath and ended up getting a bit wet due to the driving rain and wind only to decide that adding clothes would work fine at the next gas stop a couple of hours out. After refueling, I continued to shiver uncontrolably and was a bit incoherent – early stages of hypothermia. I pulled a long-sleeve shirt from my “cold weather gear bag” only to leave it behind at the gas station!…I absolutely will not make that mistake again and will need to pick up a few items somewhere along the route. Followed Highway 16 or the Yellowhead Highway the entire day arriving in Edmonton about 3 pm and couldn’t wait to get a HOT shower for some core warmth. After joing Don Berry with Medical Mart West and several of his friends at the Sawmill Bar & Grill, I received a cash donation of Canadian dollars from Don’s friend Bill, From there, we went over to pick up Don’s wife Marina for dinner – think we talked about Seinfield shrinkage, Breaking Bad, Mad Men and a whole host of great shows. To top the evening off with a nice Edmonton dessert, Don presented me with a generous donation to Rally…thank you so much for the support Don! This entry was posted in Corporate Sponsors, Motorcycle & Equipment, Rally Around the World and tagged Medical Mart West by rallyaroundtheworld. Bookmark the permalink. Great post Brad. Love hearing about your adventures (the good and the bad) during this incredible journey of yours! Rally on!